Here’s number two in this series. This one is from a hill village near Kalaw, Myanmar (Burma). The caption explains it all. 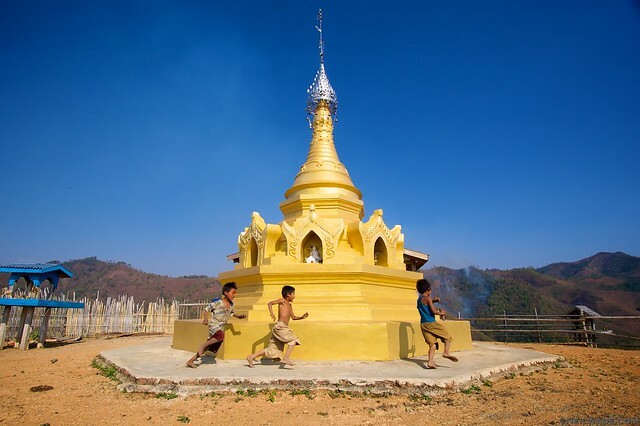 These kids are playing a game of tag on a stupa in a hill village near the town of Kalaw, Myanmar. These religious monuments are very common in Burma and can be found in every village.